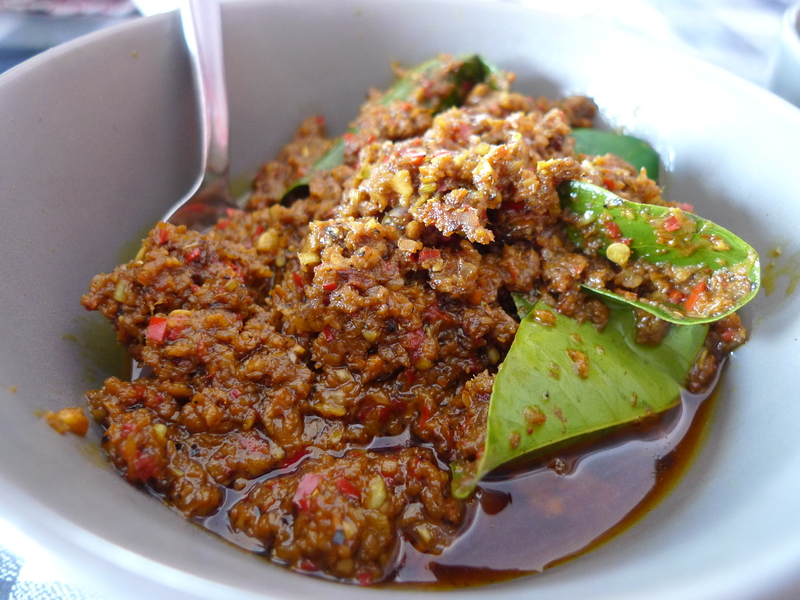 Process all the ingredients until coarsely ground, except for the oil, tamarind pulp, salam leaves and lemon grass. 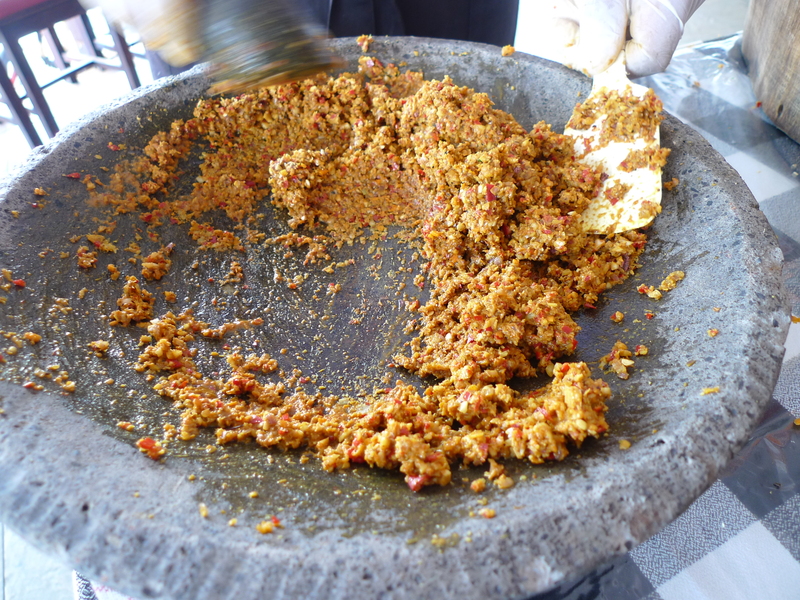 During the cooking class, we ground the paste ingredients by hand with a large flat mortar and pestle. Heat the oil in a large wok and add the processed ingredients with the salam leaves and lemon grass. Stir frequently over moderate heat for about 5 minutes until fragrant and a golden color. Add the tamarind pulp and let cool before use. 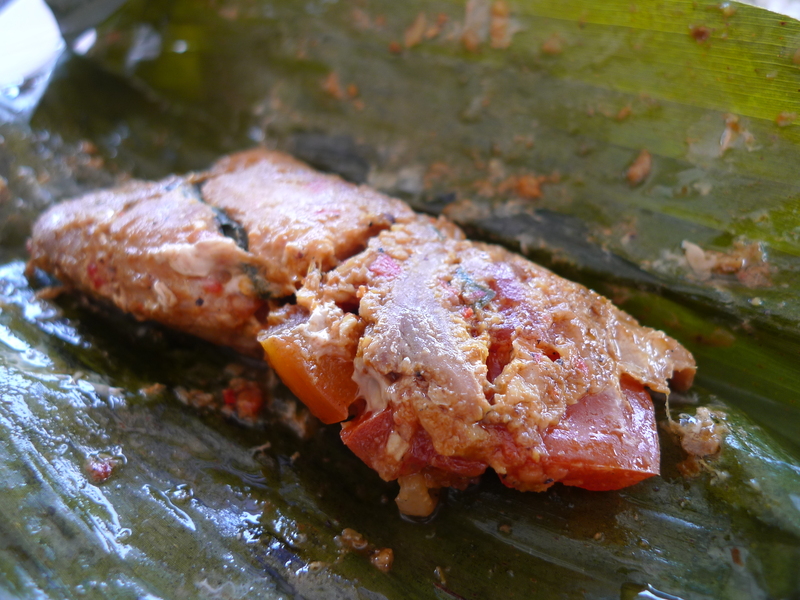 We used this seafood paste to make Pepes Ikan (Steamed Marinated Fish in Banana Leaf).